Richard Rosen returns to the podcast and answers some common questions about hatha yoga, including who the “original yogis” were, the meaning of the word “hatha,” plus he opens up about Parkinson’s Disease and shares his love for pranayama (breathing practice). I also wanted to publish a letter that Richard wrote in response to some feedback on episode 39, where we talked about Patanjali’s Yoga Sutra. Scroll down to read it. First of all, I’d like to sincerely apologize to anyone who felt put out by my interview, that result wasn’t my intention, and I’m completely sure it wasn’t Andrea’s either. My regular students are aware that I’m a bit of a skeptic, and unfortunately sometimes I take that skepticism too far. I have to admit that I have a thing about the Yoga Sutra, and maybe a caution at the start of the interview, something like you might read before opening a pack of cigarettes, would have been a good idea. Let me explain. This text is without doubt an important document in the development of yoga, since it was the first systematic presentation of a yoga practice. So for the serious student of yoga it’s a must read, as it sets the stage, so to speak, for what will follow in the centuries to come. But as I read it (and there are certainly other ways to interpret it) there are several aspects that I find troubling. One in particular is its utter rejection of the natural world as the source of unremitting existential sorrow, the only relief from which is a kind of “don’t-look-back” transcendence. Again there are going to be extremely smart people who will say I’m missing the mark here, but when I read 2.15–to the “discerner,” that is, the yoga practitioner, “all is but sorrow” (Dr Feuerstein’s translation)–I can’t help but think as I do. Please understand, yoga isn’t comparable to a block of granite, solid and immovable and unchanging, no matter how much our traditionalists would like it to be perceived. The practice is fluid, it shifts and transforms itself just as does any living creature. So there’s nothing wrong in admitting that the YS, while it may have substantial historical value, as a practical course of action, with its separative, “reducing diet” meditational method leading to its avowed goal of isolation, lacks any appeal to me (many students think the goal of the practice is samadhi, but that’s just a stepping stone to kaivalya, which literally means “aloneness,” the total divorce of the Self (purusha) from matter (prakriti). I strongly believe that our little world, despite all the myriad problems it’s facing, is a beautiful, awe-inspiring place, and that the purpose of yoga is to bring us into an increasingly intimate relationship with that world. This past 15 March signaled my 30th year as a yoga teacher, and to all those who heard me say (or at least thought so) they were doing the practice “wrong,” I once again ask for your forgiveness. 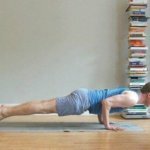 I have a long-time Iyengar training, which as you may know, sometimes prides itself as the practice to end all practices, and I freely admit to being an Iyengar snob in my early years as a teacher. I’m mostly cured of that nowadays (it spills out when new students come to my class and don’t know how to use blankets for shoulder stand), and I’m pretty confident that I would never say to any student that she/he is doing the practice “wrong.” I honestly feel that all yoga practitioners of whatever level of experience, are to be commended and encouraged. I was a busy yoga teacher and enjoying life when I was struck down with a serious illness. It was only then that I realised how much I had previously relied on asanas. I couldn’t move, had no sense of proprioception and all I had was the breath. That was two years ago, I still can’t practice asanas. I meditate and practice mindfulness daily. Like Richard, I watch my breath daily. That itself helps me to be aware of anxiety levels, energy levels and how I feel mentally. Also it aids sleep and deep rest. My life is now slow. I’ve adjusted and that’s because of the breath and how watching it has given me so much. 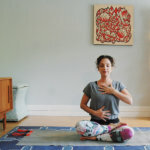 Really I wanted to say how I’ve felt disconnected from the yoga world since I became ill as I can’t do asana. Now it’s refreshing to hear this podcast on the importance of pranayama. I feel connected again. I am only conscius of my breathing when I practice more physical activity like swimming or running. It cost me a lot to watch it separately. It drives me nuts only breathing (!!!) After listening the interview it shocked me to realize how much truth is in the fact that we are nothing without it. I am inspired to take more care about and feel it. That’s great, Aline. That’s how I felt, too, after talking to Richard! Thanks Richard Rosen for your response above. Not many teachers would take the time to respond, apologize and/or explain their stance. Not that you needed to apologize… I appreciate your humbleness and thoughtfulness to respond. I understand your point and appreciation of this world we are apart of. It could be depressing to think the goal is to be alone. TY!